Thompson-Nicola, a region in central British Columbia in Canada, is an area that follows the Thompson River to its end near Wells Gray Park in the north and borders the Nicola River valley to its south. The region is accessible to foreign tourists, and the rest of the world, via Kamloops Airport, while those living nearby can take their car and drive up on BC Highway 5 or Yellowhead (16) to get to Thompson-Nicola. Those who would rather take public transportation can take the shuttle services provided by Kamloops Airport or those provided by Greyhound. The English-speaking region of Thompson-Nicola includes a number of cities, including Kamloops which is considered to be the largest in the area, Barriere, Clearwater that features a relaxing and peaceful lifestyle, Blue River which is renown worldwide for its famous heli skiing, and Merrit, which is well known for its Nicola Valley Honey, considered the best honey in Canada. Like most destinations on this side of the globe, Thompson-Nicola has a number of beautiful attractions that made this a popular choice for travelers from different parts of the world. Some of those includes Little Hells Gate, a ready option for a lovely family picnic and for taking beautiful snapshots; Wells Gray Provincial Park in Clearwater, that prides itself with Helmcken Falls and a number of other waterfalls, as well as five major lakes and a couple of large river systems; and Merrit’s Douglas Lake Ranch, which is considered Canada’s largest working cattle ranch. There are a number of year-round activities for every vacationer and their families to participate in while in Thompson-Nicola. For starters, tourists may want to visit Sun Peaks Mountain Resort Municipality, where there are loads of activities to do. Founded by Harry Burfield in 1961, Sun Peaks started as a Tod Mountain ski resort and has now grown to include the neighboring mountains of Sundance and Mount Morrisey. During summer time, it offers an assortment of exciting outdoor activities, including swimming, hiking, kayaking, canoeing, fishing, horseback riding, white water rafting and biking trails for every level of expertise, as well as an 18-hole golf course. 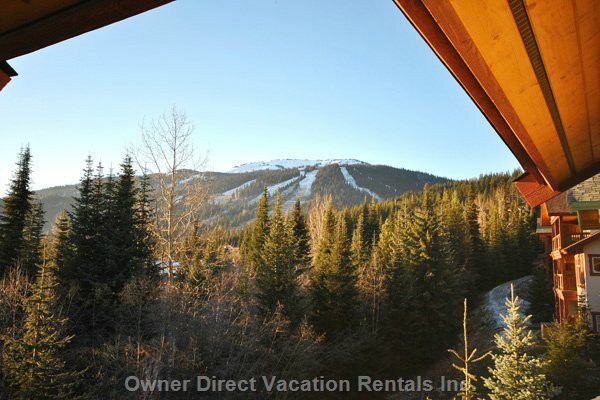 In winter, this world class ski resort is a treat for anyone who comes to this area of British Columbia, together with an assortment of other winter sports activities like dogsledding, snowshoeing, sleigh rides, ice skating, snowmobiling and snow tubing, among others. Those who would like to commune with nature while exerting minimal physical effort can do exactly that by visiting any of the numerous parks located in the area. Tourists can start with McArthur Island, then proceed to exploring the great outdoors at Riverside Parks in Kamloops. Many activities are also available for those who are not so much into physical, sporty and outdoor activities, should they decide to visit the area of Thompson-Nicola. Those who want to participate in creative pursuits while there can always join the photography clinics that Sun Peaks Resort offers. They can also visit The Horse Barn or the Kamloops Gallery any time of day. Families and group of friends can also spend a pleasant afternoon surveying the vast collection of country music stars’ hand imprints at downtown’s Walk of Stars in Merritt or participate in Merritt’s country music festival taking place in July. Those who would like to go for a gastronomic adventure must not miss the renowned Merritt Sushi that is prepared by a local Japanese Canadian family, and stop by the small downtown café of Mandolins for its mouthwatering giant cookies, biscotti and delectable cinnamon buns.